I had the Seafood, now it was time for the base. 3 jalapeños, seeded and minced. 1 yellow pepper seeded and chopped. 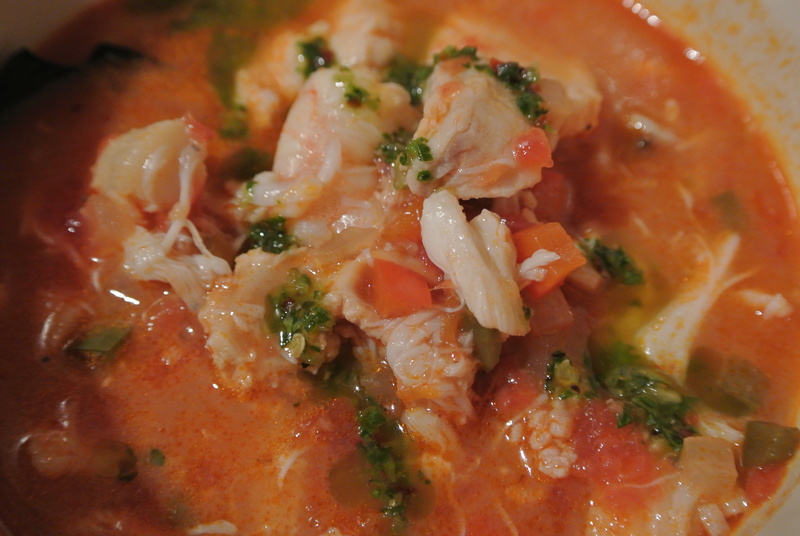 3 Dungeness crabs de-shelled and cleaned, or 1 pound of lump crab meat. In a large soup pot (a very large one), heat up about 1/4 cup of olive oil until it is nice and hot. 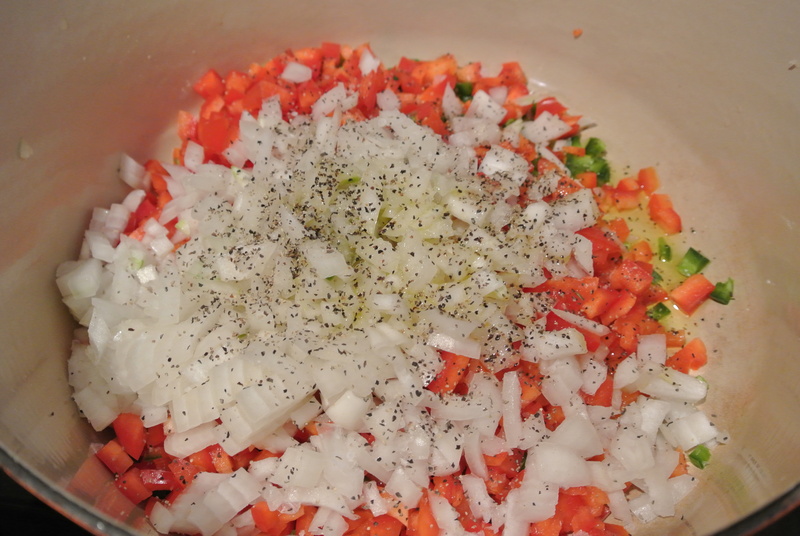 Add the chopped garlic (not the whole ones), jalapeños, bell peppers, onion, and whole bay leaf. I add a little dose of pepper at this point as well. 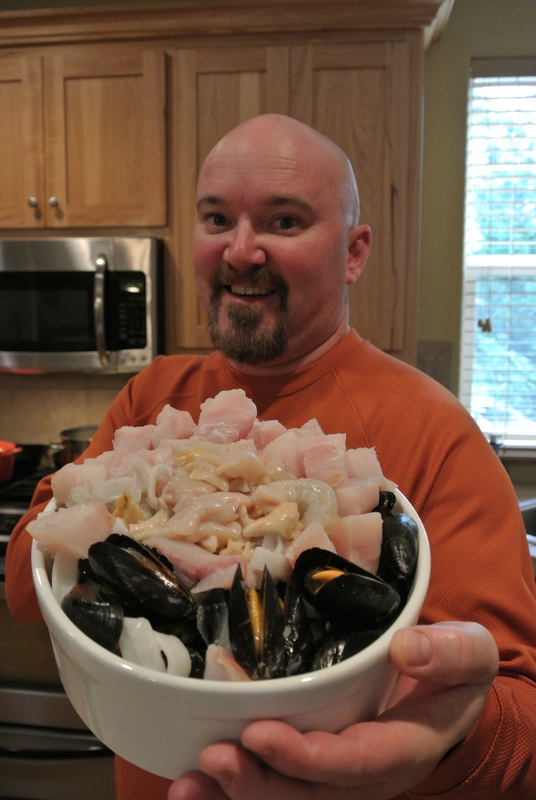 Make sure you have a very large pot, you have a lot of seafood to add later. Over medium high heat, cook until softened and beginning to brown, about 10 minutes. Add the tomato paste and cook, stirring, for one minute. 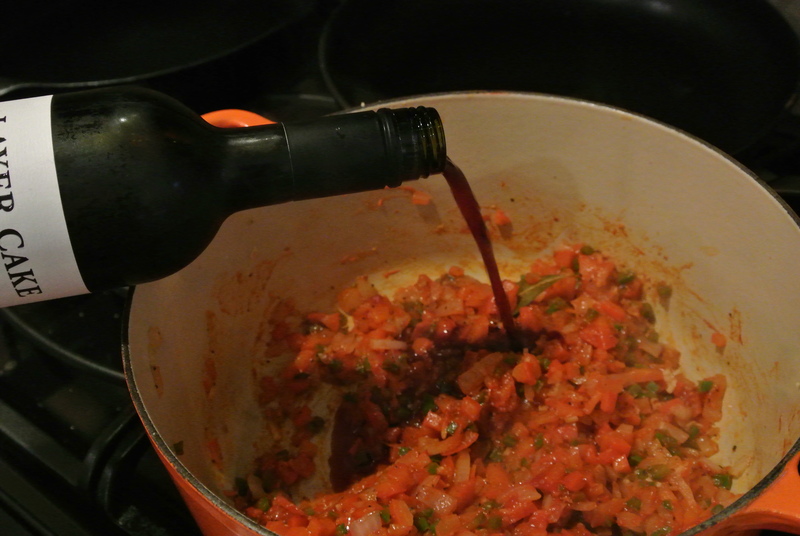 Add the wine and cook until nearly evaporated, about one minute longer. 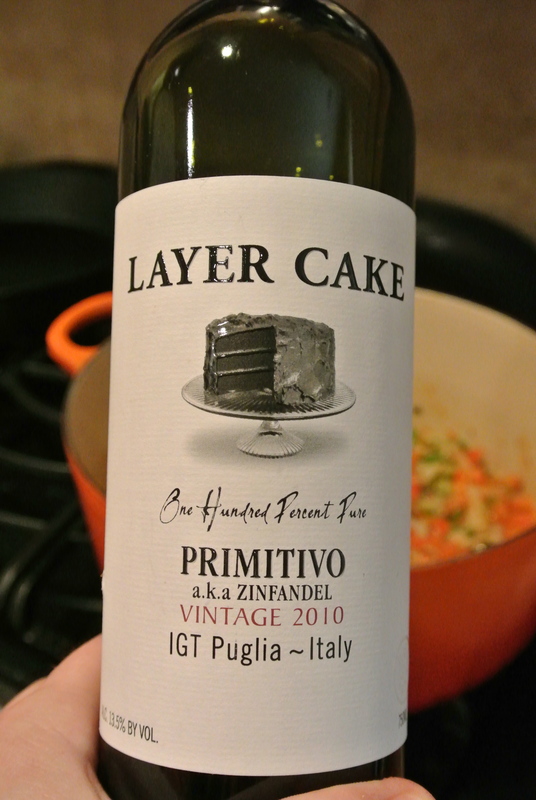 Cook until wine is almost evaporated. 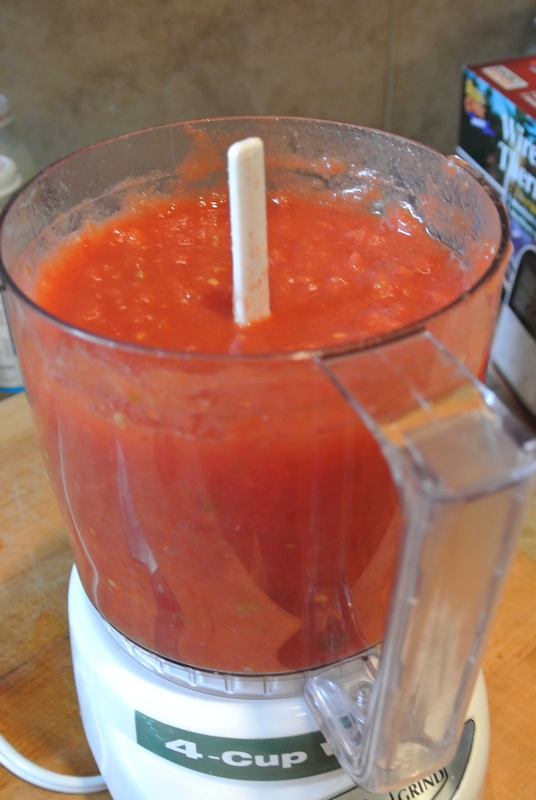 I take my stewed tomatoes and give them a quick mix about in my mini food processor. 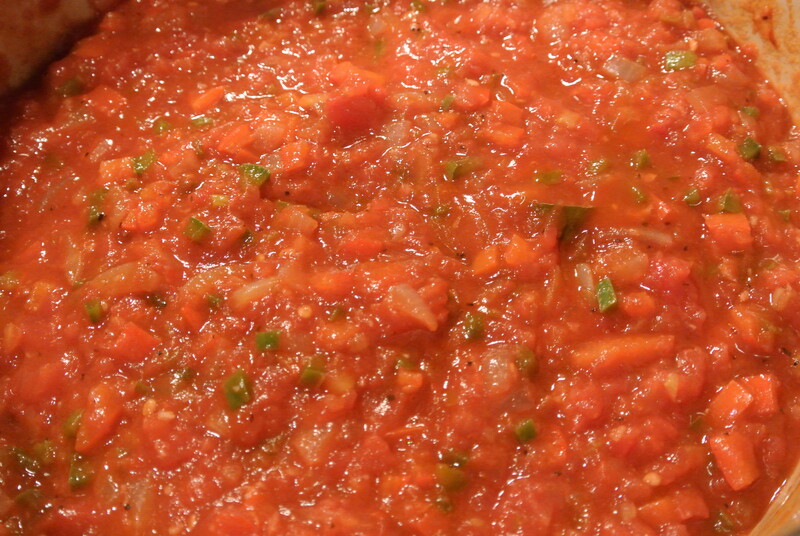 Add the tomatoes and cook over medium high heat until slightly thickened, about five minutes. 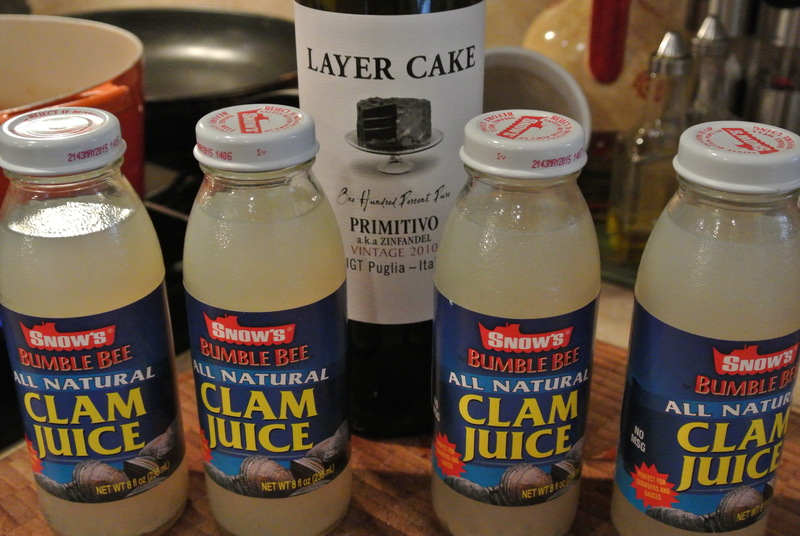 This is what the clam juice looks like. 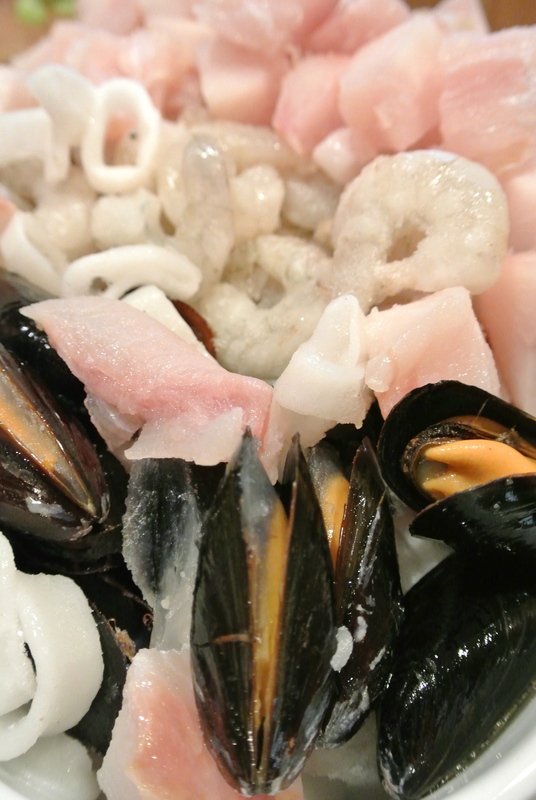 Add the clam broth and water, season with salt and pepper, and bring to a boil. Simmer over medium heat until the broth is reduced to about 8 cups, about 20 minutes. After 20 minutes, reduce to simmer and taste it. Does it need salt and pepper? Add a little at a time until you get what you’re looking for but be careful you will be adding seafood later and seafood has a salt flavor. Do not put that mini food processor away, you need it. 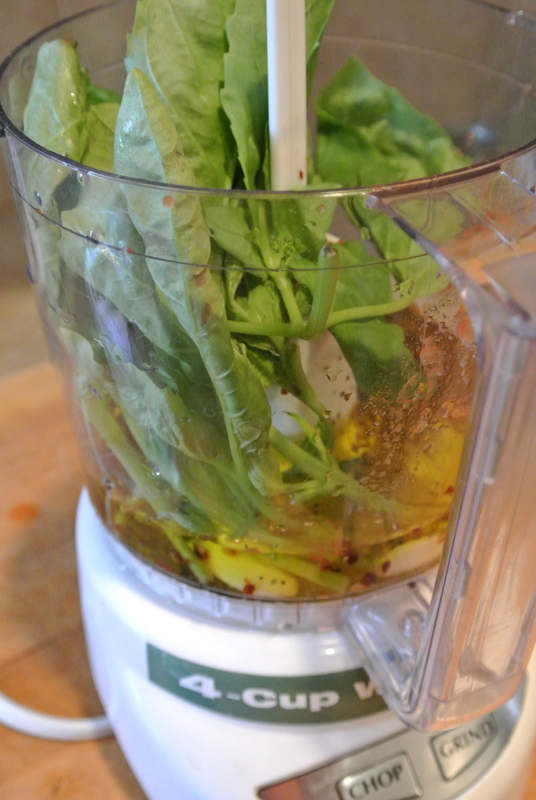 Add the basil leaves, the two whole garlic and 1/2 cup of the remaining olive oil and crushed red pepper. Process the basil until smooth and season with salt and pepper. Set sauce aside for later. 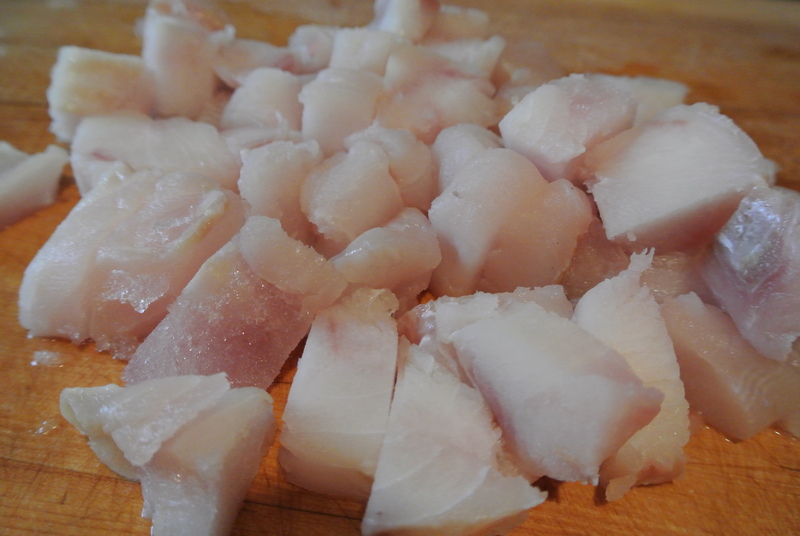 While the pot simmers, cut the halibut into one inch cubes.  The halibut just makes me think about going out and catching more this spring. Make sure not to cut more than 1 inch cubes. Then I cut the razor clams about 1/2 inch strips. I put all of it in the bowl and wait for company. The next step is very fast. When you are ready to serve. Bring up the heat to medium. Add the halibut first, give a minute. 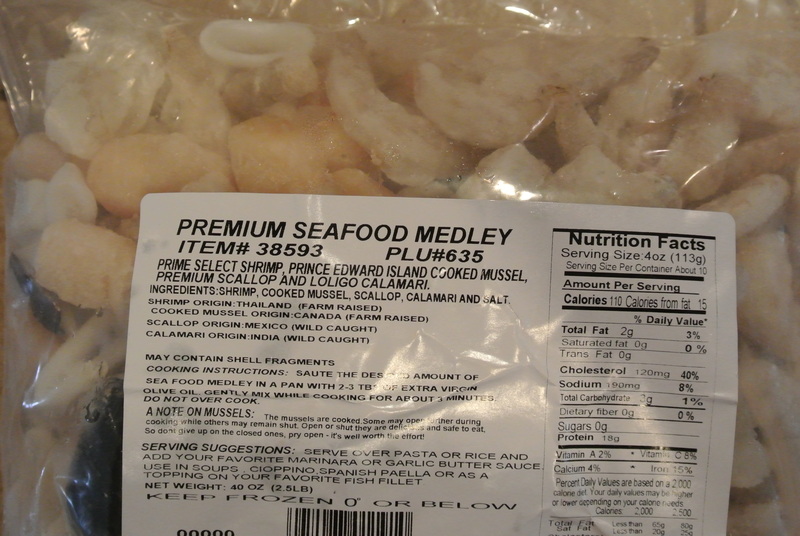 Add the shrimp, muscles, clams, calamari, and scallops and cook for 7 minutes. Add the crab, cook for 2 more minutes and serve (you can also buy the shelled at Costco if you do not have the means to catch it. It is cheaper and good quality). Taste the sauce, this is when I would add a little salt and pepper if you need it. When you dish into bowls, finish with drizzle of the basil sauce. Stand back and watch them smile. Serve into bowls, and drizzle the basil sauce over the top. This dish would be one of those meals that I may make for myself if I knew it would be my last. My family and friends gave it a huge endorsing and I was proud of the outcome. This is how much I love my family!